And as I’ve recently learned the best candles are from Candelles! 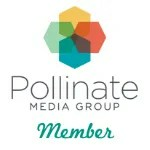 They have a wide array of amazing scents, and are made of all natural soy wax. 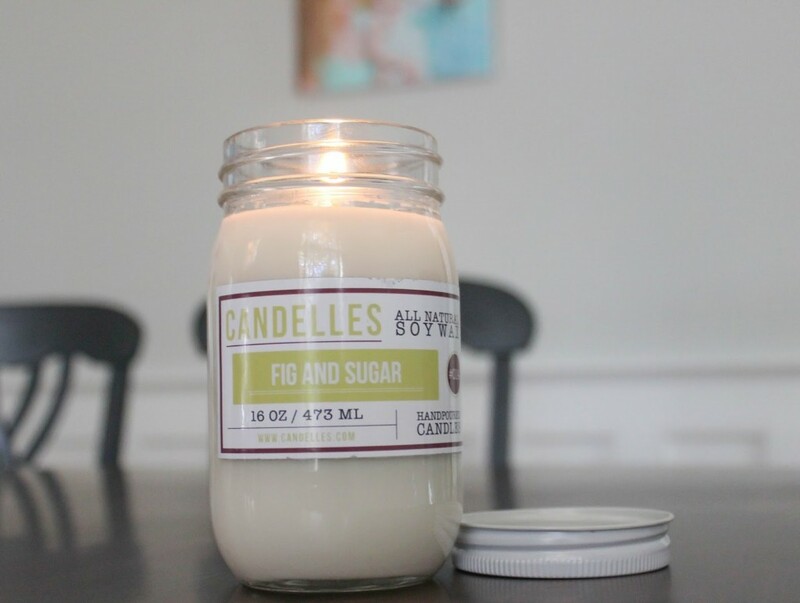 I’m obsessed with the Fig and Sugar candle. 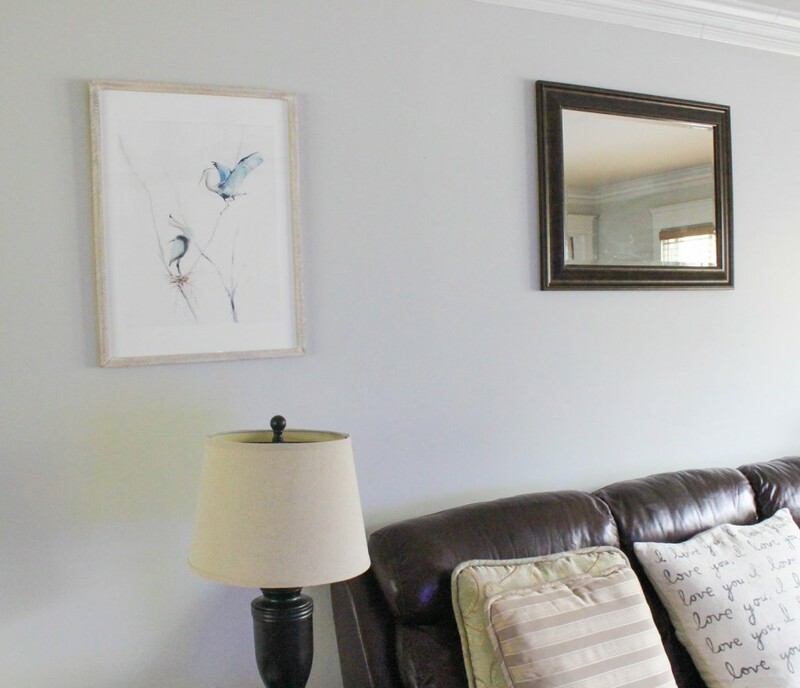 The candle jars themselves are simple and classy and fit in great in any room. There are fun flavors for fall with super cute designs like Cabin Getaway, Favorite Sweater, and Pumpkin Walnut Biscotti, and a holiday collection with flavors like Blue Spruce, Santa’s Cookies, and the Christmas Orange. 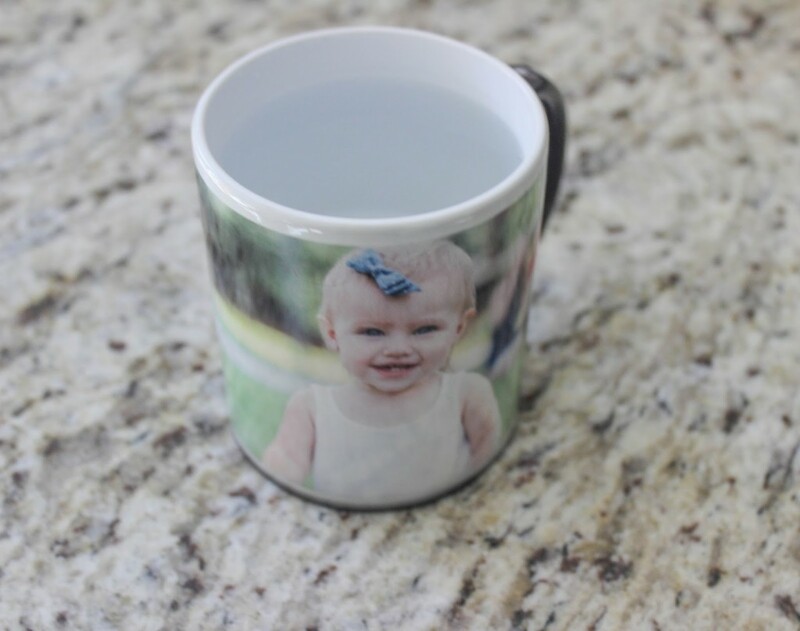 These are a great extra treat for the hard working mom out there! 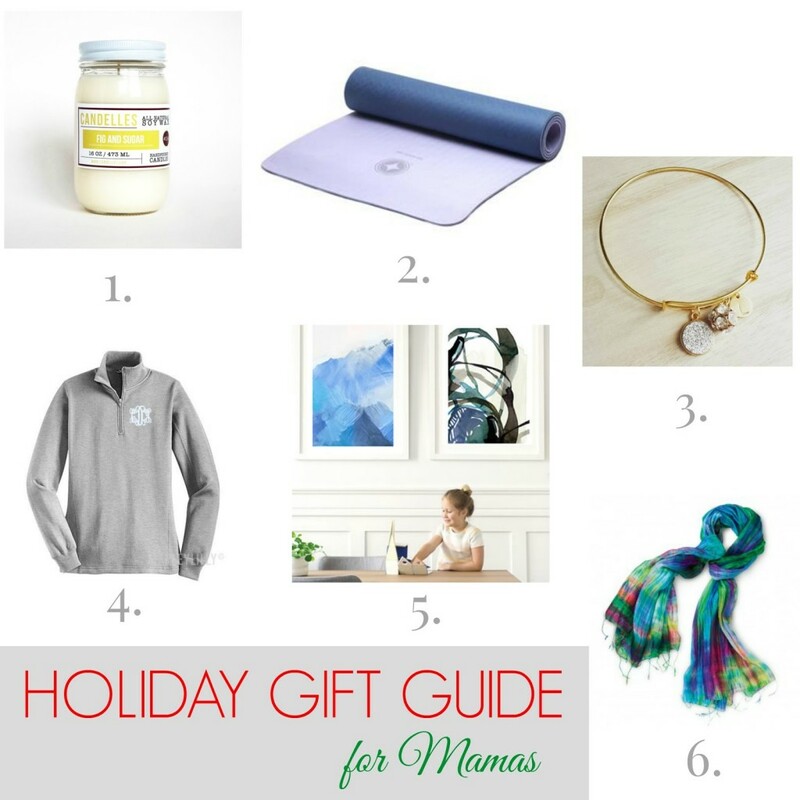 For the exercise loving mom new yoga and pilates gear from Merrithew makes a great gift! 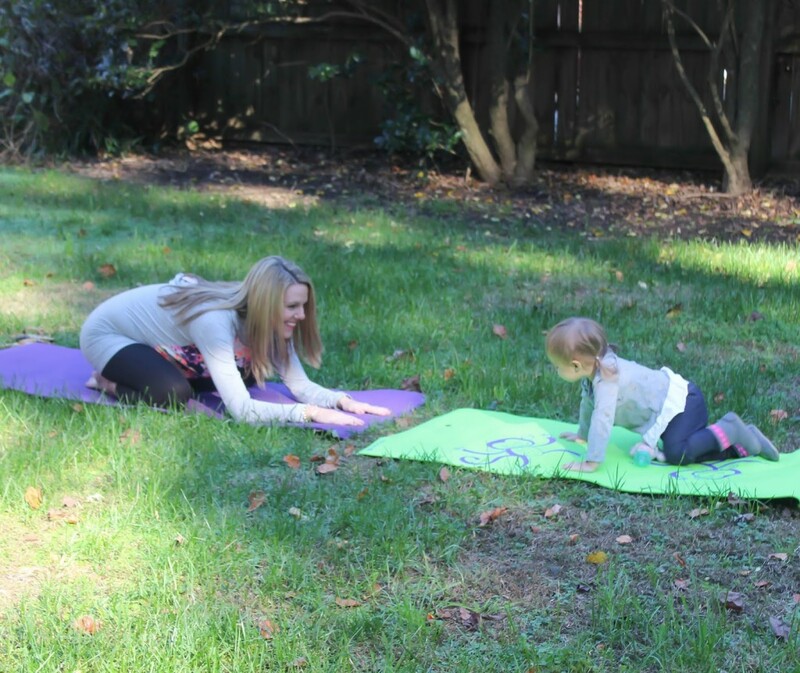 They also have kids mats and equipment – Maddie Grace loves to copy me doing yoga so we are loving this mommy and mini mat set. They are going to run an awesome Black Friday sale with over 300 products at 50% off so make sure you check it out! 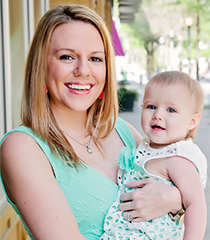 I think every mom wants jewelry that symbolizes their kids through monograms. 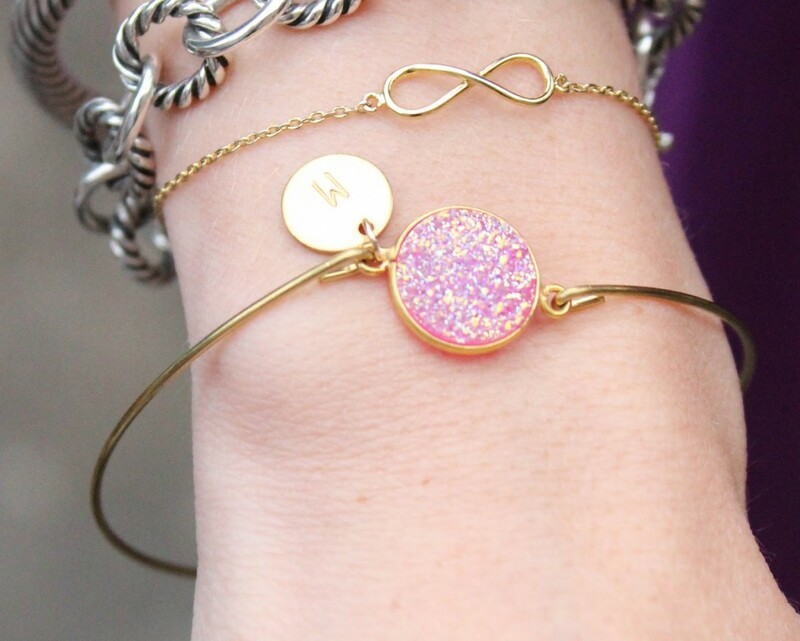 This personalized druzy bracelet from Lemon Sweet Jewelry with an M for Maddie Grace is just perfect! 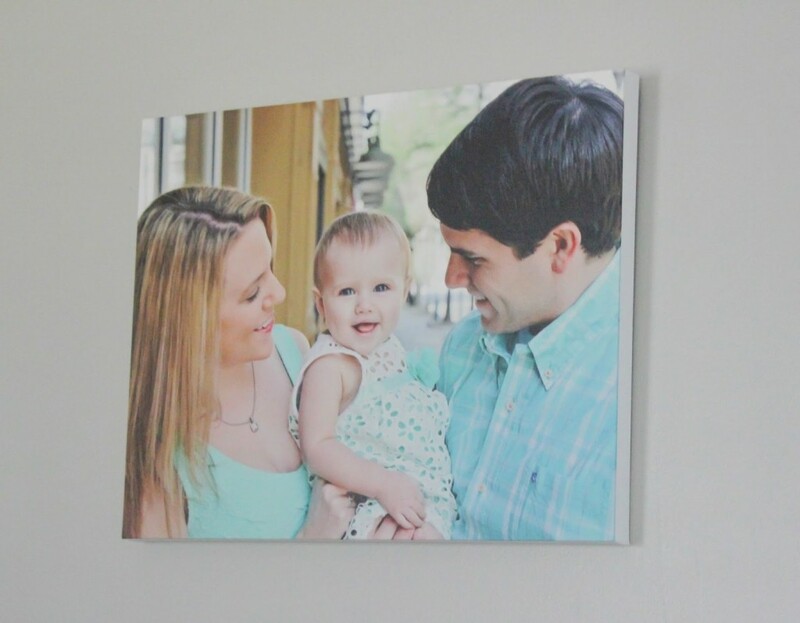 Stylish and meaningful, can a gift be better than that? 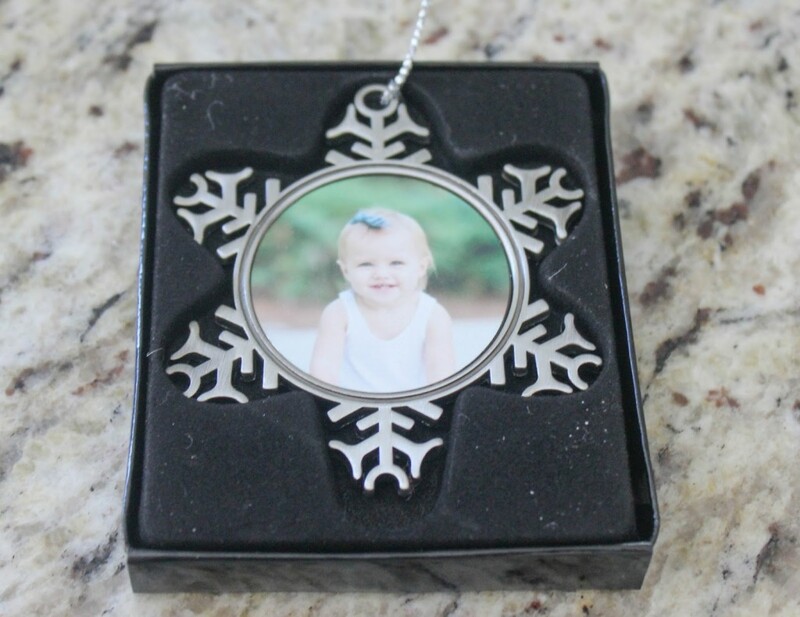 Lemon Sweet Jewelry has a lot of different personalized jewelry pieces that are perfect for any mom! 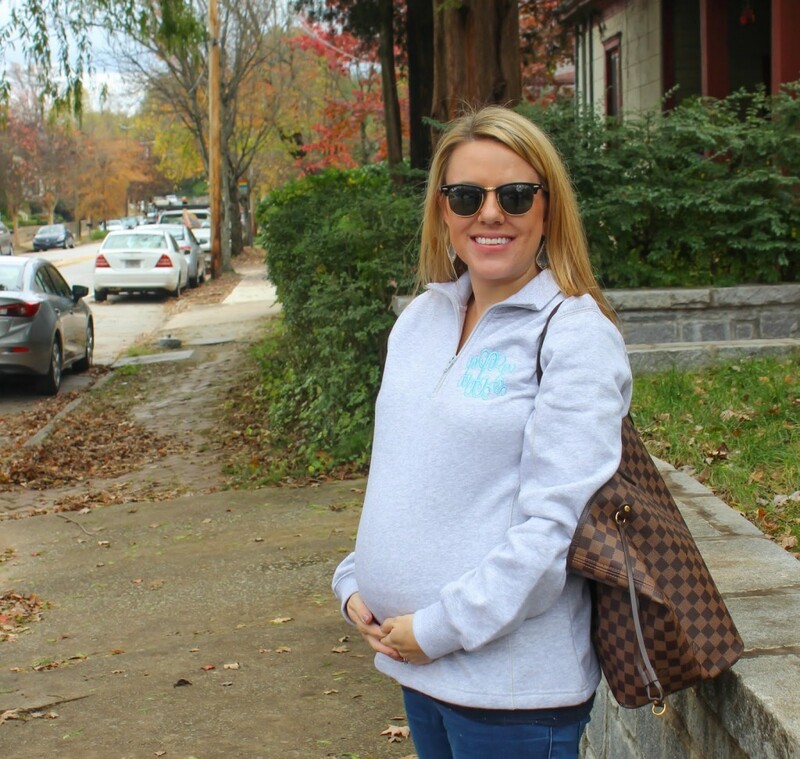 I’ve been a fan of Marley Lilly‘s monogrammed sweatshirts for a while and am loving my new one! 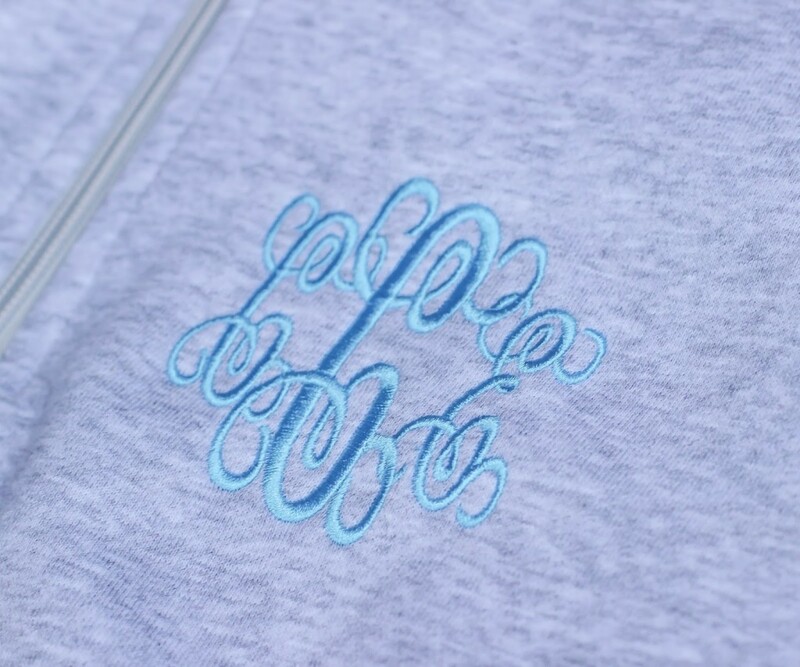 I think all moms aim for being comfortable on a daily basis, so why not make it cute with a fun monogram? It’s super soft and comfy on the inside, and looks cute with sweatpants and running shoes or jeans and boots! As a mom of a young child I really wish there was more I could do to give back in my community and the world, but I don’t have the time to do as much as I would like. That’s why moms love gifts that benefit others around the world, and World Vision has some that does just that. 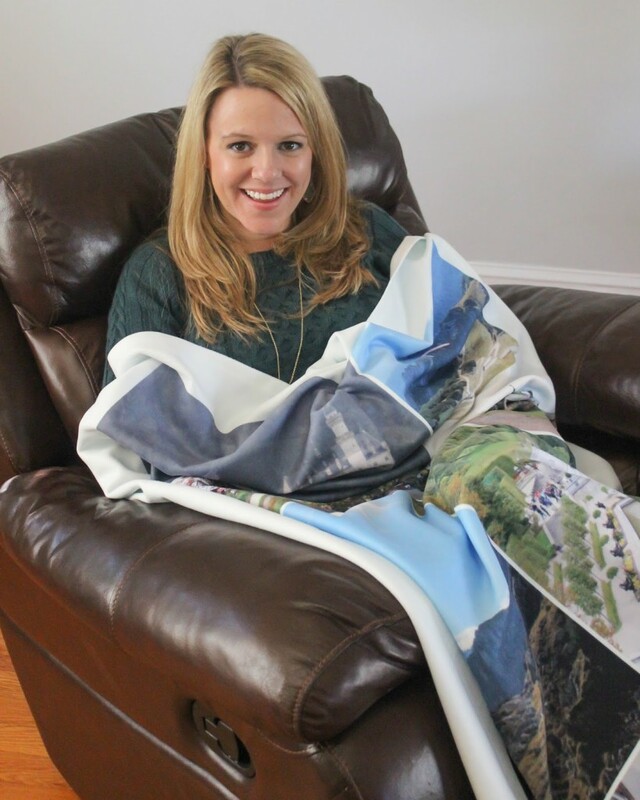 When you donate $95 or more to World Vision to provide the needs of children and families worldwide you receive this gorgeous Royal Silk Scarf to gift to a special mom in your life. 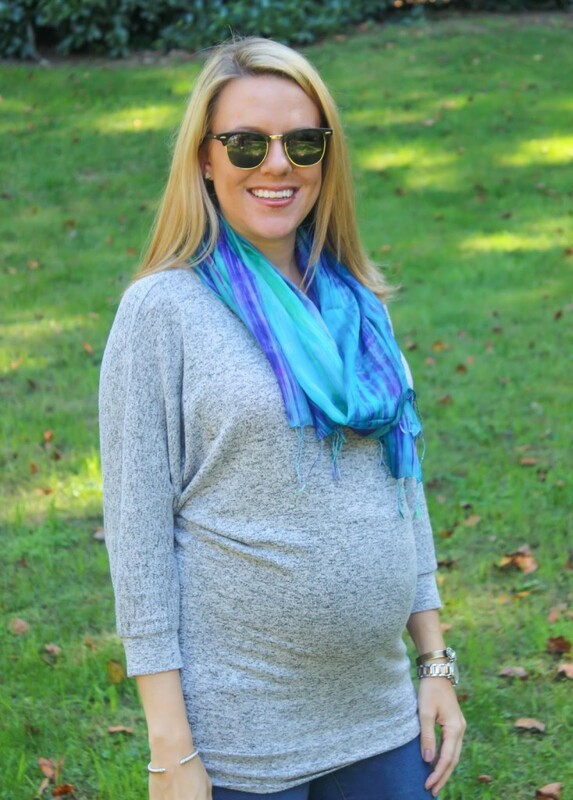 These scarves are made in Vietnam and help provide a sustainable income to villagers. And know what’s cool? All of these items are in the Thankful for Moms giveaway that you can enter through Monday (11/13) at 11:59 PM so make sure you go enter it and look for the extra entry on Instagram! Awesome gifts. I would be happy with any of these. I'm going to have my husband read this to get some ideas. You've got some fantastic ideas there. Those candles are beautiful. Been thinking of getting myself one. Ooh sending this to my husband!